What would people do on those hot, steamy summer days without air conditioning? And what did they do before air conditioners? The answer? They baked! When the temperature heats up, it sure is wonderful to be able to crank up the old air conditioner and cool down, isn't it? If you've ever been in the heat without the advantage of air conditioning, chances are you appreciate even more having a good working air conditioner to cool your home. But that's not all air conditioners do. In fact, the entire point of 'conditioning' the air is not to add coolness to a room, but to pull heat out of it. Once the hot air is pulled out, the device then circulates that conditioned air throughout the room, plus cleanses the air. Naturally, the pleasant effect of this process is that the air cools down, making the room much more comfortable. But where did it all start? What are some of the electronic components of air conditioners, and how do they work to help make our lives so much more comfortable? People have always attempted to make their living conditions more comfortable. Believe it or not, air conditioning dates back as far as ancient Egypt. In those days, people would hang reeds moistened with trickling water in their windows. As the water evaporated, the air blowing through the window was cooled. The more wealthy ancient Romans were said to have cooled their homes by water through aqueducts circulating through walls. The first modern commercial air conditioner ... thank you! ... was invented by American engineer Willis Haviland Carrier in 1902. His fabulous invention included the addition of humidity control, which led to this industry recognizing and deciding that air conditioning must perform four basic functions: control humidity, control temperature, control air ventilation and circulation, and cleanse the air. This was revolutionary and led to today's air conditioners that do not just cool a room, but clean and condition the air. 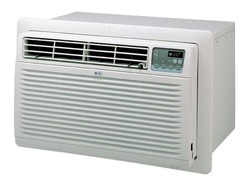 The basic parts of an air conditioner include compressor, fan, evaporator, and condenser. The compressor's purpose is to move the heat capturing gas from the low side (suction) to the high side (pressure). This process is what makes the air conditioning unit pull the heat from the air. In window air conditioning units there are two fan blades and one fan motor to move air across coils. The fan blade for the side that gathers heat and the cooler side passes air from the room across the coil and back again into the room. The outside fan passes air across the hot side coil, and this action gets rid of the heat that was gathered from the room. Central air units use two fan motors, with the interior fan actually located in the home's ductwork. The exterior fan is the one you see in the large unit outside a home. The evaporator is a coil that is actually exposed to the house side of the unit. The fan passes air across this coil. Moisture condenses and gathers on the coil, and through this action the heat in the air is pulled out from the stream of air. This is how the air is conditioned and mixed back through the room's air. The condenser is a coil that is on the outside of the house. This is where the gases that carried the heat from the room are released outside. 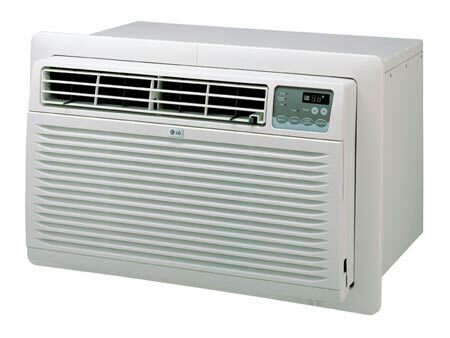 There are many types of air conditioners, but the two most popular are window units and central air units. Window air conditioning units are very commonly purchased and installed in single rooms, with all the components being housed in a single box so that it is able to fit into a window. Gaining in popularity is the central air conditioning system. Once used mostly for large buildings such as hotels, movie theaters, and factories, many people are opting to put central air into their homes as installing separate window air conditioners can be more costly. This type includes a very large condensing unit that sits outside the house, as well as an evaporative unit that sits in the furnace so that it can use the same ductwork. These are connected by refrigerant tubing. There are new air conditioners coming out that use semiconductors that will make air conditioning units easier to install and transport from room to room or building to building. These new air conditioners with semiconductor chips, or 'thermoelectric cooling chips,' are virtually noiseless, and they consume less power, making them more eco-friendly. Air conditioners certainly make life easier. They not only cool down those sweltering hot days, but they dehumidify and cleanse the air in your home, making your whole house much more comfortable and livable.